For a long time now – since the Fair Work Ombudsman first started prosecuting employers under the Fair Work Act 2009 (Cth) – it has generally been understood that accidental or inadvertent non-compliance with employment laws will be punished much less severely than deliberately unlawful activity. Those days, however, may be over, as a recent decision from Queensland – the same State which holds the record for the highest fine ever imposed under the Fair Work Act – puts employers on notice that they may still face stiff penalties even if non-compliance is inadvertent or accidental. In December 2016 the Fair Work Ombudsman commenced proceedings in the Federal Circuit Court in Brisbane against travel agency Ava Travel Pty Ltd (Ava Travel) and its director, Chin Kuen Yung, for numerous contraventions of the Fair Work Act 2009 (Cth). Ava Travel operated a tourist bus coach business in Queensland providing its services primarily in the Gold Coast and Greater Brisbane areas. Between 1 July 2014 to 31 December 2014 Ava Travel engaged three employees as drivers of these coaches, variously as casual and permanent employees. Despite some employees being casual and some being permanent, all were paid the same flat rate of $20.59 for all hours worked. Under the Passenger Vehicle Transportation Award 2010 they would have been entitled to various additional loadings and penalty rates, such as waiting time pay, and as a consequence of this the employees were underpaid as compared to their entitlements under the award. In September 2014 Ava Travel advised its employees, by text message, that they would need to get an ABN and that all wages, moving forward, would be paid through their ABN without any superannuation contributions. After two years of litigation before the Federal Circuit Court, Ava Travel agreed that it had contravened the Fair Work Act 2009 (Cth) by underpaying its employees as compared to their entitlements under the relevant modern award to the tune of $43,477.21. Ava Travel paid this to the employees voluntarily in May 2017. Ava Travel also admitted that, following the text message in September 2014, it had engaged in sham contracting, acknowledging that each person continued to be in truth an employee. The “fulsome and unqualified” co-operation of Ava Travel and Mr Yung in the Ombudsman’s investigation and the court proceedings was considered to be a significant factor in favour of a more lenient penalty, with Judge Jarrett of the Federal Circuit Court determining that this warranted at 25% discount on the penalty. Judge Jarrett also considered the swift action taken by Ava Travel to rectify the issues once the Ombudsman brought them to light rendered the penalty sought by the Ombudsman were simply too high. Additionally, Judge Jarrett considered that, with respect to the sham contracting matters, these were the result of “clumsiness and inadvertence” rather than a deliberate attempt to contravene the Act, noting that this course of conduct appeared to be the result of accounting or other financial advice rather than legal advice. With these comments in mind, one might think that the penalty imposed in this case was nominal. However, Judge Jarrett also noted that the penalty imposed “needed to serve as a warning to others”, and imposed a penalty of $164,475 – nearly four times the amount of the underpayment. This case should serve as a stark reminder to employers of the need to take pro-active steps to ensure compliance with industrial laws. 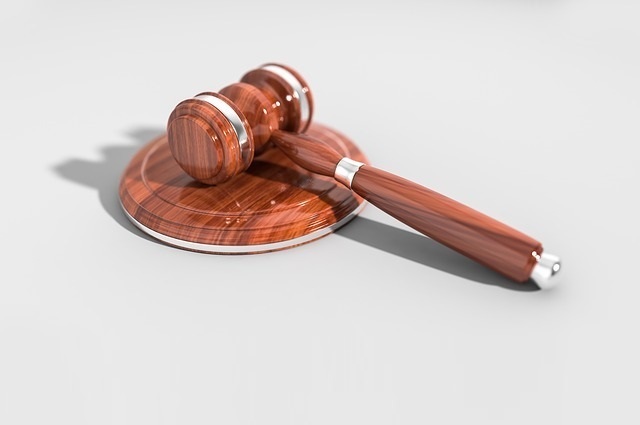 After eight years of litigation under the Fair Work Act 2009, there is an increasing trend for penalties to be more and more severe. Whilst the most severe penalties are still reserved for the deliberately non-compliant and unapologetic, penalties against the incompetent, the inadvertent and the contrite are ever-increasing. The penalty imposed by Judge Jarrett on a contrite, co-operative employer who acted on bad advice indicates loud and clear that the courts are fed up with cases of this nature, are will not shrink from making their displeasure felt. Clearly, employers cannot “carry on regardless” and hope that a mea culpa will forgive any sins. It is clear that the courts are fast running out of forgiveness. Simply picking a rate of pay which is “above award” and hoping for the best simply does not cut it. In the General Retail Industry Award 2010 alone there are over 400 different rates of pay to which an employee may be entitled at any time, so making sure all of these are accounted for, without professional advice, is a veritable minefield. The case of Ava Travel also highlights to need to get dedicated legal advice – not accounting or financial advice – when deciding how to structure the engagement of your workers. Relying on the advice of an accountant, who was perfectly correct under tax law but perfectly wrong under employment law, did nothing more than land Ava Travel in hot water. The National Retail Association recommends, in the strongest possible terms, that employers undertake periodic audits of their payroll practices to ensure that employees are being paid correctly. Although some may balk at the idea of investing in this preventative measure, the cost of failing to make this investment can easily be much, much worse. NRA Legal, the incorporated legal practice of the National Retail Association, specialises in employment law issues affecting the retail and fast food sectors, and specialises in proactive compliance and payroll audits. To find out how NRA Legal can assist your business, call 1800 RETAIL (738 245).